As we all know that Glo is the grandmaster of data. They offer a very cheap and affordable data plans for all categories of people. Without Glo, you don't have to empty your bank account because of data. I have compiled Glo latest data bundles and how to subscribe to them. These data plans are usable on any internet enabled devices like Android, iOS, Windows phone, PC, iPad etc. Follow me along. While MTN gives you 30MB with N100, Glo said you deserve more by offering 50MB for just N100. How time flies. Few years ago, we used to get 100mb with N1000 but now it's all history. This is because Globacom offers you 100MB for just N100. While the previous plans mentioned above valid for one day, this one stretches up to 3 days. With just N500 naira, you get 1.6GB of data while both MTN and Airtel gives just 750mb at the same price. The plan is actually valid for 10 days which is even more than one week as stated. It is undoubtedly the best and cheapest weekly plan as of now. Oh yea... I know you have been waiting for this one. 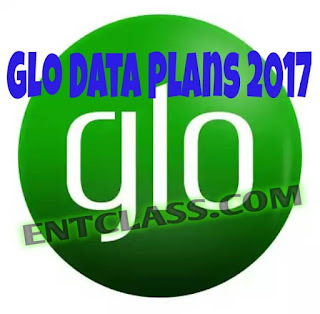 Monthly plans are the most popular plans used by so many people and Glo offers the cheapest monthly data plans as at the time of this review. Below are the different monthly bundles from Globacom. When Glo introduced this plan, i thought it was a mistake from their server but to my greatest surprise, it was actually real. This plan beats all other monthly plans as other networks offers 1.5GB with N1000 while with Glo, you get 3.2GB for N1000. (1.7GB higher than what you’ll get elsewhere). It lasts you for one month. Isn't it awesome? Here we go again. How about getting 7.5GB with 2k? Don't you think it's a good value for money if you are like me that uses lots of data. Dial *127*13# --- All valid for 30 days. Those of you that prefer browsing at night for one reason or the other, Glo is behind you and with just 200 Naira, you get 1GB to browse from 12AM till 5AM in the night. Some people usually use night plans whenever they have videos to watch online or download stuffs. Remember browsing in the night is always faster than during the day. Unfortunately, Glo doesn't have any whatsapp plan as at the time of writing this post. To check your Glo Data Balance, dial *127*0#, or text INFO to 127. I noticed some BB10 users are unable to browse with their Glo data bundles after activation. Here is the simple trick to fix it. Go to settings and change the APN (Access point Name) of your BB10 device from “blackberry.net” or whatever that was there to glosecure. Meanwhile, one problem that almost all Glo subscribers face is the poor 3G network issue. There are some places you will go where Glo 3G is so strong. Anyway, if you have any questions to ask, kindly use the comment box below and don't forget to share this post using the share buttons below. Waw this is really mouth Watering Offer, but the question is does glo data plan fast like that of Etisalat, mtn and airtel network? The only challenge with Glo is that their Network is not available everywhere. Glo has reviewed their data plans. Still glo is still the best.